Lucy is a bright eyed, fiery redhead with a quick wit and a photographic memory. On the night of the spring equinox, Lucy meets Nathaniel, a dark and mysterious man who at first appears to have amnesia. Lucy feels inexplicably drawn to Nathaniel and is amazed to discover that he is invisible to everyone but herself. Fearing she is going insane--or worse, losing her photographic memory--Lucy goes on a hunt for answers. What she learns turns her world upside down. 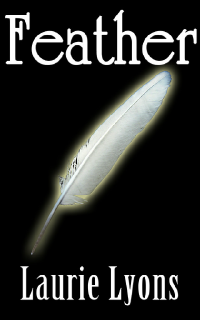 FEATHER is a tale of love, the power of memories, and the struggle between right and wrong. How far would you go to save your true love’s soul? She fell. Tripped really. Her foot slipped and although she might have been able to save herself, if she had the inclination, she didn’t. So technically, it was an accident and that was how it had to be. By her estimation, there were twenty five solid concrete steps on this staircase. As her body charged forward, her left shoe fell off and twisted lightly in the air behind her. A flash image came to her mind of the day she bought that shoe; it was during a better time - a much better time. But now the shoe was off and she had tripped and because the stairs were made of concrete and numbered twenty five - the fall would kill her. For that simple fact she discharged the better time - the shoe shopping time and she rejoiced. She felt joy in her own death, deep, full, unabashed joy. She was finally being let out of her own personal Hell and her soul grasped at salvation with everything it had left. Today was the summer solstice; she thought that was a nice touch. Laurie Lyons wrote her first story at the age of 8 and hasn’t really stopped since. She lives in Calgary Alberta, Canada with her husband Trevor and their two clever children. She loves writing, reading and spending time with her brilliant friends. “Feather” is the first of many novels from her. Feather by Laurie Lyons has shone the brightest of lights on my heart! What a beautiful love story and a creative tale of deep love and good vs evil. I am not a fiction reader, but this book awoke my imagination by enticing me with details that were so descriptive that I could actually see in my mind the story play out. Each character was beautifully described and perfectly designed. Laurie had me so entranced by the words on the page, that one second I was laughing out loud and the next I had tears running down my face! What an incredible experience it was to read a book that not only entertained my mind, but that touched my heart and soul simultaneously. 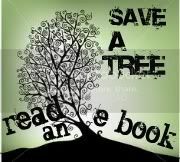 As I read the pages of Feather, I couldn't help but think that everyone, all ages should read this! What a wonderful story. I also couldn't put it down once I started it. I have never wanted to read a book again right after finishing it till this one. Highly recommend for an easy and delightful read. Can't wait for Laurie to publish a new book.